Over our years of holding mid- and large-size exhibitions and events, the Beijing International Convention Center has accumulated rich experience in the industry. 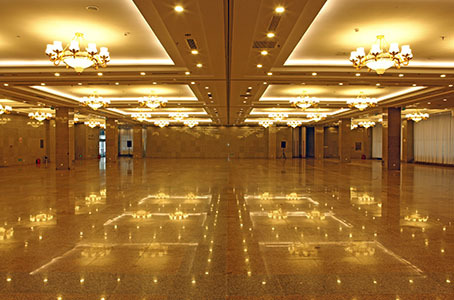 Hall 1 can serve up to 1,000 guests seated at tables, or 2,000 guests at a standing buffet. 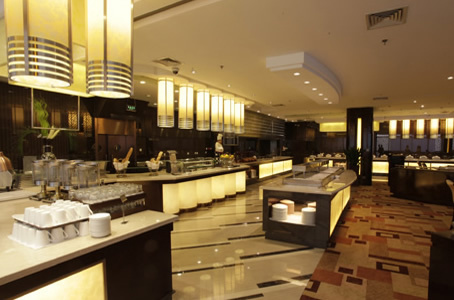 Hall 2 can serve up to 700 guests seated, or 1,000 guests at a standing buffet. 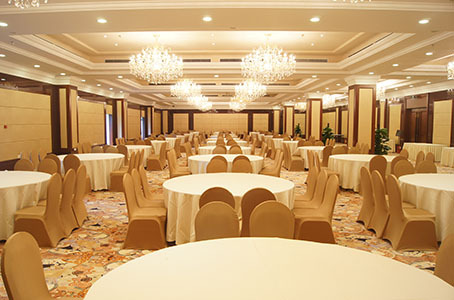 North of the Beijing North Star Continental Grand Hotel, we have more than 10,000 square meters of lawn space where events serving up to 5,000 guests can be held. Our banquet hall can seat up to 400 guests at the same time. We also have other rooms in many configurations that can be used to host any kind of meal that may be required, such as: seated meals, buffets, standing receptions, lawn meals, on-site booth sales, boxed meals, takeout service, and more. We can also provide halal and vegetarian meals. Our central garden contains over 10,000 square meters of lawn space, which we use for outdoor events and banquets for up to a thousand people. 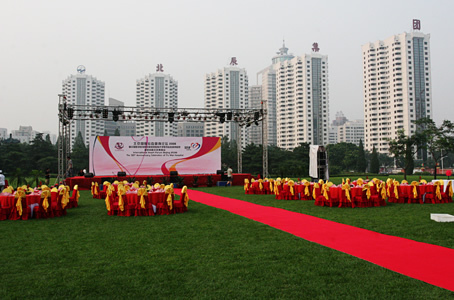 We can provide the best local Beijing cuisine, and also stage outdoor exhibitions. Hall 1 is 1,900 square meters, and can receive up to 1,000 guests seated at round tables, or 2,000 guests at a standing buffet. Large performances can also be held while guests eat. Hall 2 is 1,100 square meters, and can receive up to 600 guests seated at round tables, or 1,000 guests at a standing buffet. Performances can also be held while guests eat. 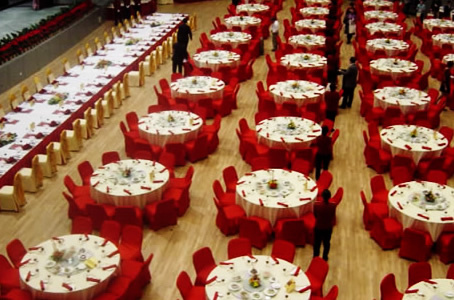 Hall 5 is 1,500 square meters, and can receive up to 600 guests seated at round tables, or 1,000 guests at a standing buffet. The Continental Grand Hotel Cafe provides a relaxing, comfortable, and elegant environment in which to enjoy a variety of healthy buffet options and snacks guaranteed to satisfy even the pickiest eater. The café can seat up to 140 guests, making it the perfect place for small meal events or meetings. 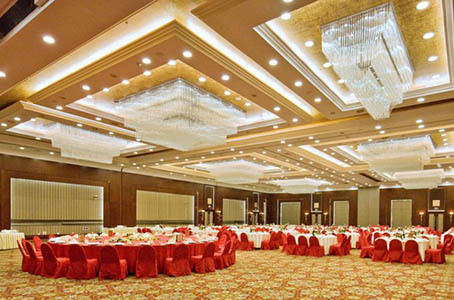 A Chinese-style banquet hall perfect for large banquets, conference meals, and weddings, this space is also ideal for small- and mid-size banquets, parties, and business meetings. With 4 smaller VIP rooms also at the venue, it's your best choice for any type of event.  Copyright© Beijing International Convention Center. All Rights Reserved.